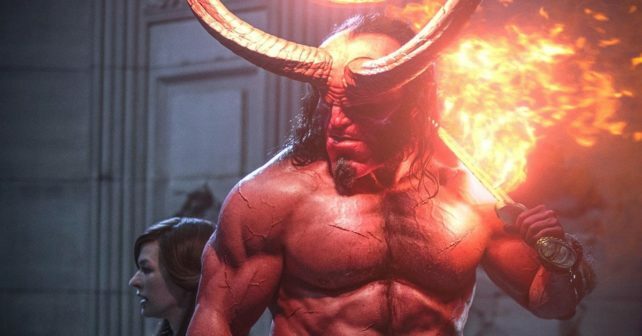 Such was the case at the weekend box office, where Millennium and Lionsgate’s Hellboy remake opened to a dismal $11.9 million, further contributing to an overall downturn in combined ticket sales year to date following a banner 2018. That’s down 17 percent from the same corridor in 2018 — when Black Panther opened — and 18 percent from 2017, home of winter and early spring hits Beauty and the Beast and Logan, among other titles. Major exceptions to the early 2019 blues include Disney and Marvel’s Captain Marvel, the female-led superhero pic that has earned nearly $387 million domestically and $1.06 billion globally, and Universal and Jordan Peele’s Us, which has grossed nearly $164 million in North America and $236 million worldwide. “It may be tough to imagine at this point that 2019 could ultimately post record-breaking revenues, but a slow start that has handed the industry a 17 percent year-to-date deficit will in less than two weeks begin to assemble perhaps the greatest comeback in box office history with a monumental slate that will set into motion a herculean reversal of fortune,” says Paul Dergarabedian of Comscore. When Dergarabedian mentions two weeks from now, he’s talking about Disney and Marvel’s Avengers: Endgame, which is expected to set records when it hits theaters in late April. The summer and year’s end calendar is packed with other big titles, many of them from Disney, such as The Lion King, Frozen 2, Toy Story 4 and Star Wars: Episode IX – The Rise of Skywalker. Universal has The Secret Life of Pets 2 and Fast & Furious spinoff Hobbs & Shaw, while Sony is prepping event titles including Men in Black International, Spider-Man: Far From Home, Quentin Tarantino’s star-studded Once Upon a Time in Hollywood and the untitled Jumanji: Welcome to the Jungle 2. Major big-budget misses so far in 2019 include Fox and New Regency’s Alita: Battle Angel — also produced by Cameron — Paramount’s Wonder Park and Disney’s Dumbo, directed by Tim Burton. So far, four of the 15 weekends this year have been down over their 2018 counterparts, including a 27 percent dip over the April 12-14 weekend.